*Offers Listed Below are Either Expired or Not Working! Details : Min 100 Rs recharge is required | Max 60 Rs cashback | Valid once per user till 25th September. MONSOON : minimum transaction amount is 10 rs | Maximum cashback of Rs 200 can be availed | Valid 3 times per user. Coupon code : FREE75 | It can be redeem 3 times i.e on 3rd, 6th & 9th transaction |Minimum order of Rs 500 is required & max cashback is capped at 75 Rs. Alternate coupon : FREE50 | Minimum order value must be greater than 200 Rs, max cb of Rs 50 can be availed each time. FLAT50 : Supports all operators except Airtel. Valid once per user and applicable on selected accounts only. Use code SUNNY and get 20 Rs cashback on minimum 100 Rs recharge, bills. Download ‘my galaxy’ app on your Samsung phone and move to “service” section. Generate your unique code and apply it in Mobikwik to enjoy offer. Both the codes given below are applicable on minimum spend of 50 Rs. Max cashback of 60 Rs can be availed after successful redemption. 1] SAMKWIK : Use it for recharges. 2] SAMADD : Use it for adding money to wallet. 3] KWIKPAY : Max 50 Rs cashback and valid only once per new user. Redeem code AIRCELFRI to get 35 Rs CB on aircel recharge. Validity : today, 3 June (selected users only). Apply coupon VODAU to get Rs 10 cashback instantly! Both the codes given below are valid only once per user. KRAZY : Get 21% cashback upto 111 Rs using our promo code. Minimum spend of 10 Rs is required for deal activation. ELECTRIC60 : Recharge for Rs 140+ to claim this offer. 1] SPY15 : Avail 15% CB on mobile recharge/dth/bill & utility payments. Valid once per user | Minimum 100 Rs spend required | Max 75 Rs cashback. 2] SPY50 : Get 50% cashback on minimum 20 Rs recharge. It can be used only once and maximum 50 Rs CB can be availed. 3] SPYMBK : After using this code, you will get 5% cashback on minimum 10 Rs recharge. It’s valid only once per user and maximum of Rs 50 cashback can be availed through this offer. End date : 31st March 2016. 1] SPY20 : Avail upto 50 Rs cashback till 31st March. It’s valid only once and minimum spend of 50 rs is required to redeem offer. Code can be used only on desktop/web version. 2] GET20 : Recharge for rs 50 or more and get 20% CB (upto 100 Rs). It’s valid only once for those users who haven’t redeemed SUPERWOMAN code earlier. RAJNI : You will get 15% cashback on minimum 20 Rs recharge/dth/bills. Maximum 100 Rs CB can be availed through this coupon. Applicable only in : Chennai, Kerala, Tamilnadu, Andhra Pradesh & Karnataka circles. MOBIKWIK : Add Rs 10 or more to claim cashback. Offer is valid for new users till 29th March 2016. SPY100 : Pay via mobikwik wallet on Dominos and get 40% cashback (max 200 Rs). Coupon is valid only for new users. Last date : 31st March 2016. MOBIMTNL : You will get 10% cashback on minimum 10 Rs recharge. Maximum CB that can be availed is 50 rs. It can be used twice in a month till 29th February 2016. MOBIAIR : Maximum 60 Rs cashback can be availed. Minimum spend : 10 Rs. Minimum transaction amount : 20 Rs & max 40 rs cb. You can also use AIRTEL4 code. Sign up on mobikwik and add 50 Rs to wallet using valid credit or debit card. Now apply coupon code HELLO to get additional 50 Rs in account. Just add 300 Rs to wallet using mobikwik app and get total 600 Rs. Eligible models : Lumia 430, 540, 640, 535, 730 etc. Just add 35 Rs and redeem coupon NEW1. You will get extra 35 in wallet. Just add 50 Rs to mobikwik wallet and redeem coupon MOBIAPP50. After completing the transaction you will get an extra 10 rs in wallet. Means your total balance will be Rs 60! Rules: Valid for both old & new users across all app platforms. MOBIHERO7 : Every 7th successful recharger will get 100% cashback (max 100) after using this coupon. Expiry date : 1st December 2015. Sign up or login to your MobiKwik account and start recharging with 100 rs. Now apply promocode MOBIDUNIA10 to get extra Rs 10 in wallet. Both new and old subscribers are eligible for this offer. Validity : 4th November 2015. Add 500 rs in wallet and get 25 extra (No promo code needed). Offer valid till 1st November 2015 (10 PM). SMILE20 : Get 20% cb using this code (max 100 rs). Validity : 31st October 2015. Add 1000 rs to your wallet and use promo code UP100. You will get 100 rs extra as a cashback amount. Offer is only valid for credit/debit card users till 5th August 2015. Add 1408 Rs and redeem promo code FREEDOM100 for extra Rs 100 cashback. Validity : 15 August 2015. Just ask 5 of your friends to download mobikwik app. Whenever they add money using your promo code, you will earn 20 Rs. Invited friend will get 50 cashback on adding minimum 10 rs with your unique code. To get your own referral code, give a missed call to 1800-3070-6118 and it will reach to you on 15 June. Your earnings will be paid by 30 June 2015. Add 50 rs to mobikwik wallet and redeem code ICICI50. You will get 50 Rs cashback. Just recharge your DishTV with 250 or more and get instant 100 Rs cashback. No promocode is required. For more details, give a missed call on 1800-108-1802. Download mobikwik app and use coupon WELCOME10 to get 20 recharge in 10 Rs. This offer is valid only for new app users. Download flipkart mobile app and sign up using your Google account. You will get notification popup containing 50 rs cashback coupon code. Use promocode WORLDCUP after adding money and get 10% cashback. Valid till 7 PM today ( 26 march). Add 100 Rs and get 20 cashback using coupon WC20. New android app users can avail 50 Rs cashback using NEW50 coupon. Now new mobikwik users can avail 35 Rs cashback on adding Rs 35 to wallet. Use promo code DUNIA35 and do transaction using credit/debit card. Add 200 rs to your wallet using mobikwik app and apply promo 200PE20 to get 20 rs cash back. Offer ends on 4 Feb and applicable for old users too!! Download mobikwik app on your iPhone and add 50 Rs to wallet. Now redeem coupon ILOVEIOS and you will get extra 50 in wallet (Valid till 2 February). Give missed call to 1800 108 1802 and you will receive SMS. Just recharge your DTH with 199 rs or more today (30 Jan) and 50 rs cash back will be added on 10 February 2015. [Valid for today 20 Jan only] Redeem code KWIK14 after adding 14 Rs to get 100% cashback. Book any movie tickets from BookMyShow and pay via mobikwik wallet. All users will get 15% cashback till 31st Jan. Users from Tamil Nadu, Kerala, Karnataka, AP can avail 50% cashback (200 Rs max) during offer period (More info). Apply coupon GRABON31 after adding 31 rs to get 100% cashback. Offer valid for new app users till 31 January. Download Mobikwik windows app and add 50 Rs to wallet. Now redeem coupon MOBIWIN to get extra 50 in wallet. This offer is valid till 18 January 2015 and it is applicable for all users. Visit mobikwik section of coupondunia to get 99 Rs cashback promocode. Get 50 recharge in 10 Rs! [New users only] Give a missed call to 1800 419 3007 for complete offer details. Else directly use coupon HNY50 to get 40 cash back. Recharge your dth on 30 December with 299 Rs and get 100 Rs cashback on 6 January 2015. Users from North East India can get 25 cashback today 25 Dec. Amount will be credited on 2 January 2015. Dial 1800-108-1802 and you will get message containing promo code. Or just apply ENTERMOBI to get 50 cashback on 50 Rs (valid on 25 December only). Redeem promo code XMAS25 after adding 25 Rs to wallet and get extra 25 instantly. Total money in account will be 50 Rs. Use NYOFFER to get 19 Rs cashback on addition of 99 Rs to wallet. Expiry of above coupons is unknown, so better to use them as early as possible. Recharge dth with 299 Rs to get 100 Rs cash back on 31 Dec 2014. Payment should be made from mobikwik apps between 6 PM to 11.59 PM today (23 Dec). Recharge with 50Rs today (22 December) and get 25 cashback (added on 30 Dec). Now, all users can add 299 Rs to wallet and get 30 Rs back. Use promo APP299 valid till 11 December today. Just add 10 Rs and redeem promocode APP40 for getting 40 instant cash back. 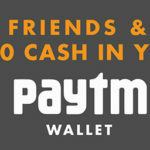 Transfer 10 Rs to friend’s wallet & get 20 extra live again! Mobikwik rolled out another offer which will be live on 15 December . Just transfer 10 Rs to your friend’s (new user) wallet & 20 Rs cash back will be added to account on 22 Dec . User can apply for this offer upto 5 times to get total profit of 100 Rs. Redeem promo code APP30 after adding 10 Rs to wallet and get 30 cashback instantly! Hurry offer valid on mobile apps till 8 December. Use app or website to top up DISH TV with minimum 300 Rs and 100 cashback will be added by 10 December. Transaction should be done today (5 Dec) between 6-11.59 PM. Applicable for old users too and coupon is not required (Source: FB page). Use coupon GET20MORE and pay via Visa debit or MasterCard (Ends 31 December). Redeem coupon code MOBIOOM (it’s not zero) to get 10 Rs cash back on minimum 100 Rs recharge. 1) Airtel : Recharge for 25 and get 65 MB 3G , 17 Rs to get 85 MB 2G valid for 3 days. 2) Vodafone : Get 25 MB 3G in 25 Rs for 1 day and 85 MB 2G for 17 Rs (2 days). 3) Idea : 30 MB 3G for 14 Rs (1 day), 85MB 2G for 17 Rs (2 days). 4) Reliance : Recharge with Rs 30 to get 75 MB data valid till 3 days. 100% cashback will be added to credits by 5 December. Offer valid till recharge done using mobikwik wallet between 6PM – 11.59 PM on 2 December. Guys, Groupon is again back with killer deal after Paytm 9 Rs coupon! It’s live for a limited time, so grab them fast. You will get 101 cashback on adding 101 Rs at Mobikwik (Click here to open offer page). Give missed call 1800-200-3515 and you will receive message containing 50 Rs promo code. Add 10 Rs using credit or debit card and apply coupon DEC50 to get total profit of 60 Rs (2 December). Just recharge your dish using mobikwik app or website for 300 Rs and you will get 100 cashback on 5 December. Offer is live between 9 pm to 11.59 Pm today (1dec). This offer is only for Delhi & NCR circle (valid till 1 dec). You can recharge for airtel and Vodafone data plans using mobikwik and cashback will be added on 4 December. Airtel: Recharge 17 Rs and get 50 mb 3g for 1 day or recharge with 18 Rs to get 75 mb 2g for 2 days. Same plans are there for Vodafone users. Add at least 100 Rs to wallet and redeem promo code 100PE100 to get 100 Rs cashback valid for new users. Add minimum 23 Rs to your wallet using Debit/Credit card. Redeem promo code 23PE23 and get instant Rs 23 cashback (30 Nov).